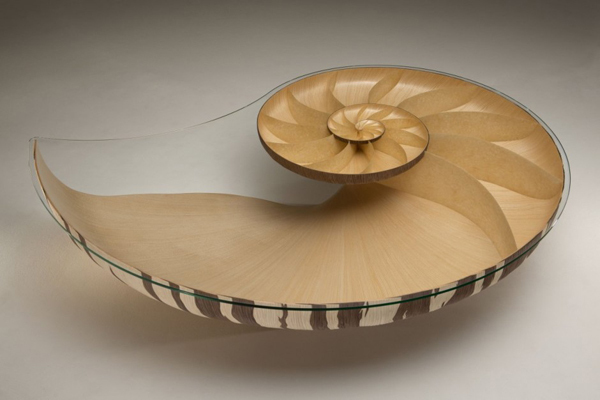 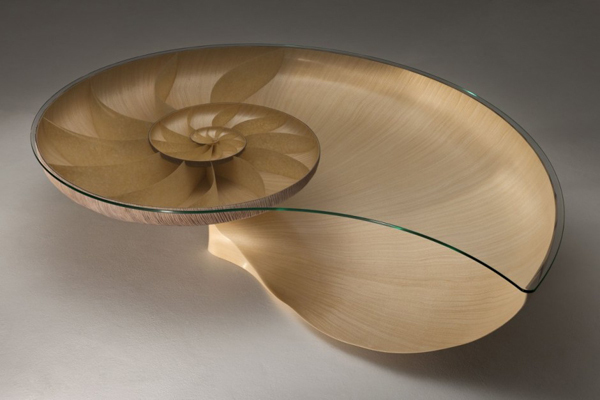 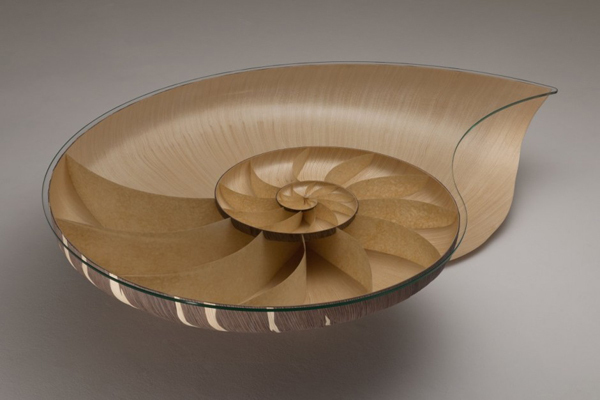 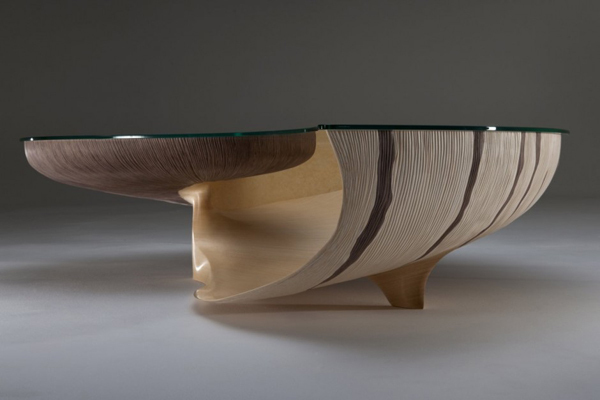 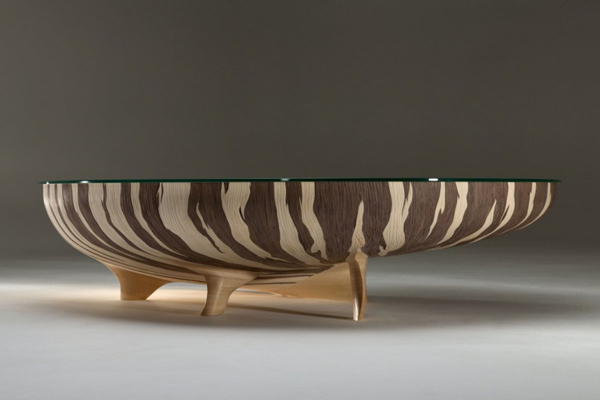 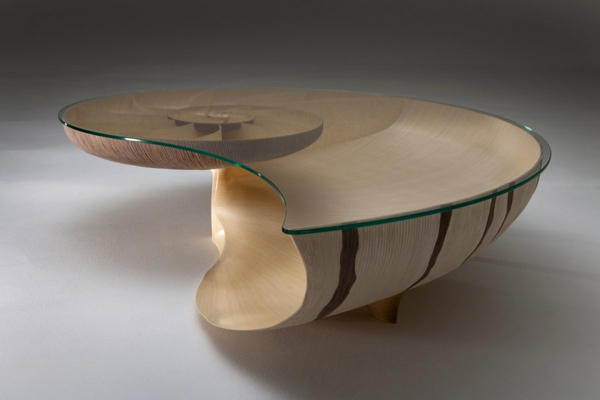 Take a look at the second edition of Nautilus Table created by Marc Fish. 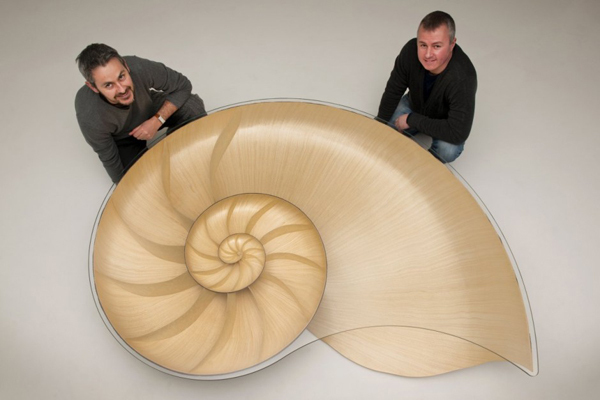 “Nautilus was born in an environment of artist freedom: an experimental piece that has embraced modern computer aided technology and combined it with innovative constructional techniques. 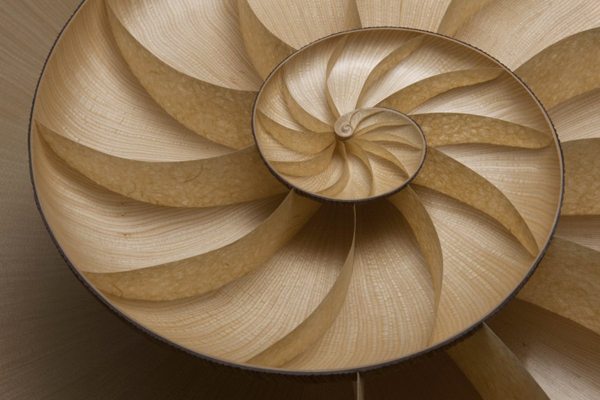 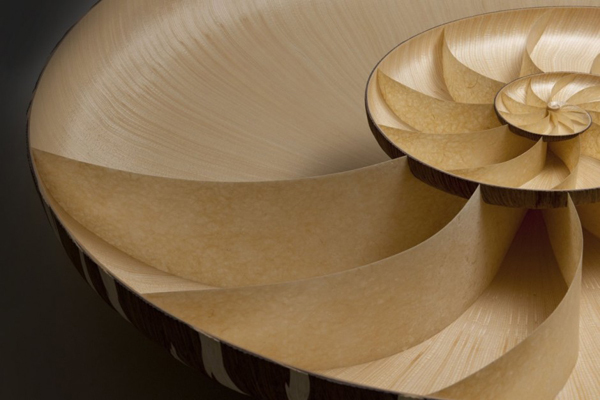 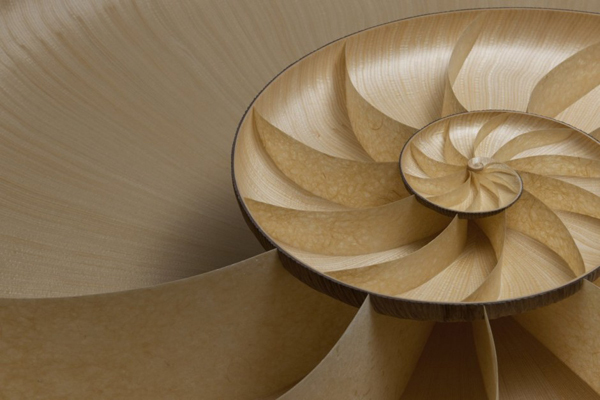 The layering of over 4000 individual pieces of walnut and sycamore veneer has created the logarithmic spiral found within the Nautilus shell. 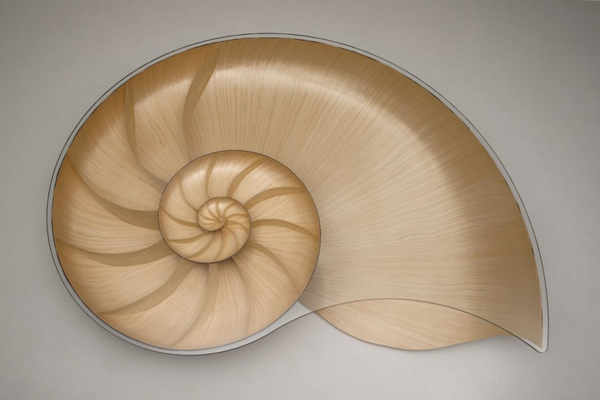 The proportions of the Nautilus shell never change, no matter how large their growth: these proportions follow the classical order of the Golden Ratio. 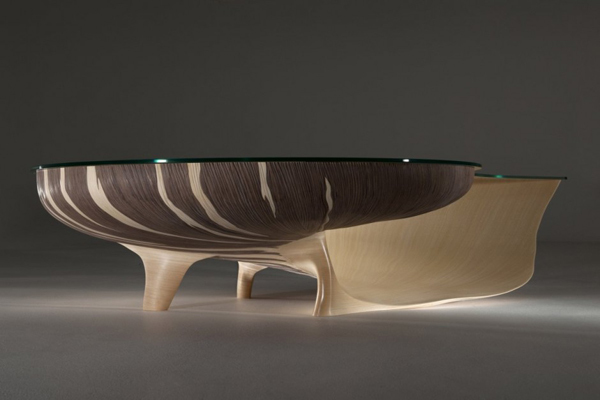 A more perfect form might not be found. 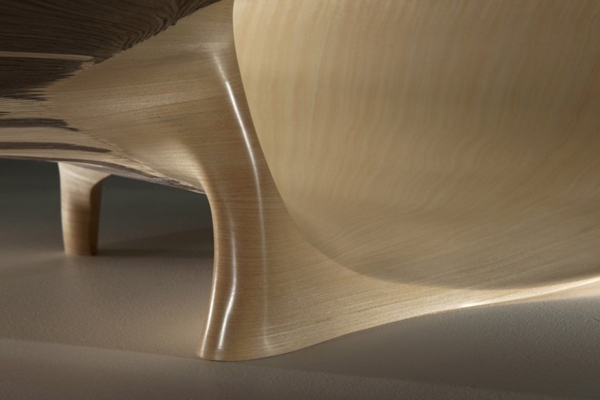 This perfection commonly found in nature is often the source of Marc’s inspiration. 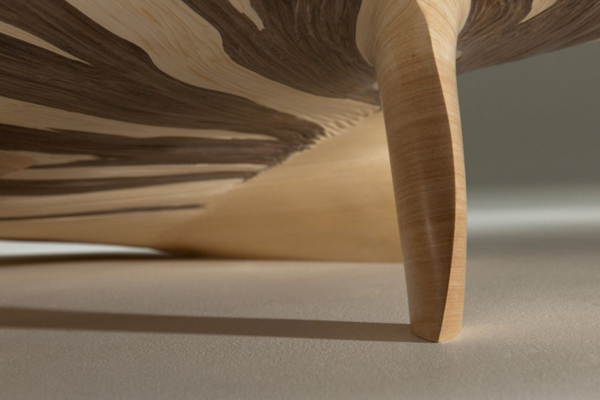 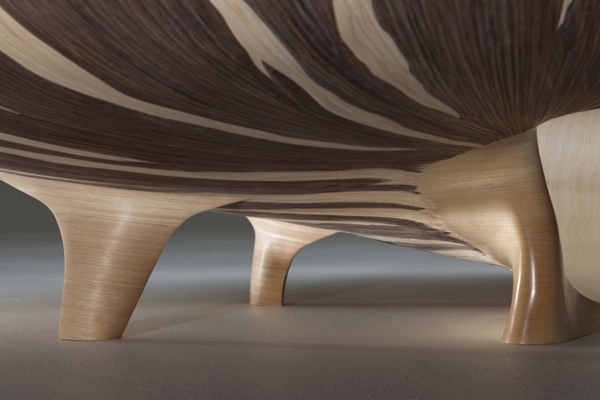 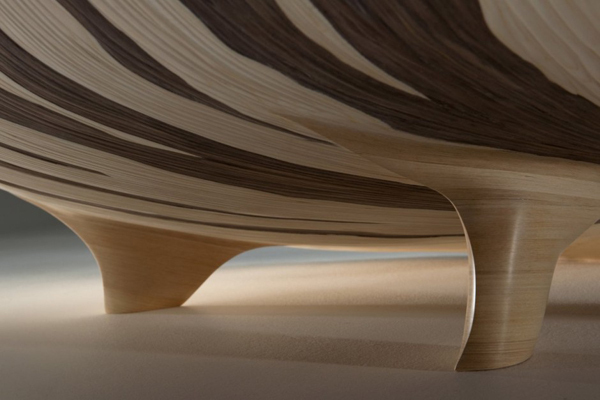 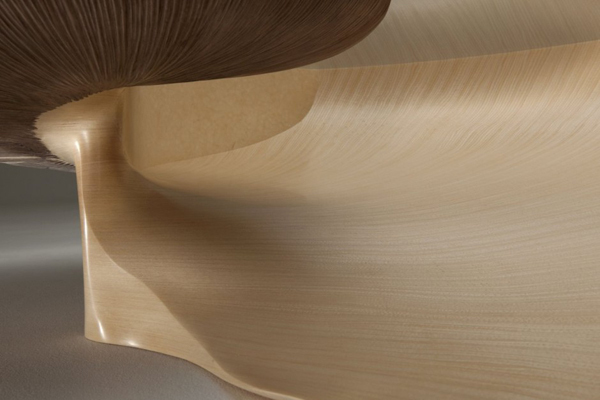 The table has a texture which replicates the outside of the shell, created by hand carving the fluted growth patterns. 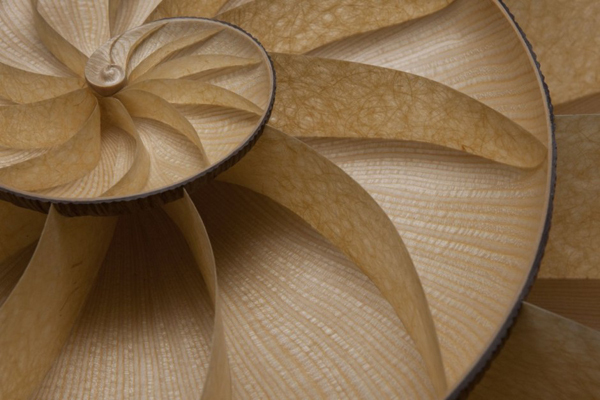 Inside a satin sheen has been created which runs smoothly round into the chambered area replicated in Japanese lace paper.” Have fun!